Sure, Butterball turkeys are tasty. But why limit your Employees’ choice? gThankYou! Offers Turkey Gift Certificates and Turkey Or Ham Gift Certificates that give your recipients the flexibility to choose what they want (whether it’s a Butterball or another Brand and variety), at the store they choose, when they want. With gThankYou! 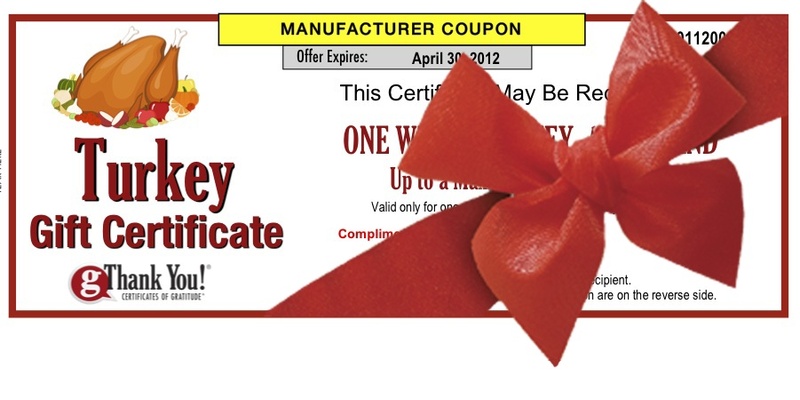 Turkey Gift Certificates, recipients can choose Any Brand of Turkey – not just one variety, at virtually Any Grocer in the U.S. That means your recipient can still choose a Butterball if they desire, or any other Turkey brand, variety (organic, kosher, heritage, etc.) or preparation, even fully cooked! With a gThankYou! Turkey Or Ham Gift Certificate, recipients have the flexibility to choose any whole Turkey or any half or whole Ham – so they can choose what works best for their family during the holiday season. No more guessing as to what’s the right size or time to give your thoughtful holiday gift. Furthermore, recipients are not limited to where they shop. With a gThankYou! Gift Certificate, recipients can shop nearly any grocery store they want nationally, whether that’s Whole Foods or Walmart. So why wouldn’t you give your employees more choice? Turkey, Turkey Or Ham, Groceries and More! Make your thoughtful gift this Thanksgiving Season, one that allows your recipients the choice they desire and the convenience you both deserve. Around here, we love turkey leftovers! Growing up, we made an enormous Butterball turkey for Thanksgiving and ate it in one form or another until Christmas. And then we made another one. Turkey wasn’t a food group, it was a season. We had no choice but to embrace reheated plates of turkey and potatoes, warmed up, gooey green bean casserole, and fermented cranberry relish. As I got older I branched out, trying lots of new recipes with turkey as the star ingredient. Chop 1-2 cups of cooked turkey into bite-size pieces. Sauté them in butter until crisp-cooked. Mix vegetables and turkey in large bowl until combined. Add gravy to generously coat all ingredients. Start with your leftover gravy from Thanksgiving. If you don’t have enough you can use canned chicken or turkey gravy, or make more. Melt butter in a large saucepan. Whisk in flour until completely combined into a paste. Cook for one minute. Add broth all at once, stirring constantly. Bring mixture to a boil. When it has thickened, add wine (if desired) and whipping cream. Season to taste with salt and pepper. Chopped parsley, sage, chives, or thyme make nice additions to the pie. Add to taste. 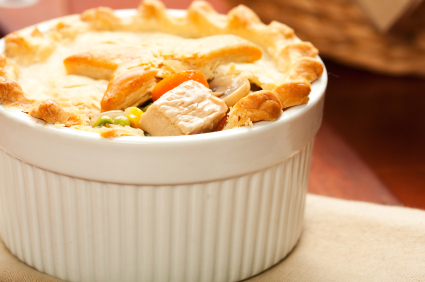 Place your crust of choice over the filling, making sure there are slits for the steam to escape. Bake at 350 F until the topping is browned and cooked through, and the filling is hot and bubbly. Serve with leftover cranberry sauce and enjoy! gThankYou! Turkey Gift Certificates are one of America’s favorite employee gifts and can be redeemed for any Brand whole Turkey, at virtually any Grocery Store in the U.S.
Thanksgiving Turkey – Where Does the Thermometer Go? It’s that age-old question, where do you put the meat thermometer in a turkey? You may have spent days looking at recipes, brining your Thanksgiving turkey, and finding just the right ingredients for some amazing stuffing, but if you serve raw turkey at your next Thanksgiving dinner, all that effort will be wasted. (Not to mention a lot of good food!) Fortunately, there’s a very simple way to make sure your turkey is cooked properly – just look in the housewares section of your grocery store for a meat thermometer. Follow the instructions below for proper use and rest assured — your bird will be perfect! Oven-safe or instant-read, a meat thermometer is a good investment in great taste! The tip of the meat thermometer should be placed in the thigh, just above the lower part of the thighbone (but not touching the bone! ), pointing toward the body. For the stuffing temperature, the tip of the thermometer should be in the center of the body cavity. Remove the turkey from the oven and place the thermometer in the thickest part of the thigh, away from the bone. It will register the temperature of your turkey within 15 seconds. If it needs more time, be sure NOT to pop the thermometer in the oven with your turkey. Instant read thermometers were not designed to withstand hours of high temperatures. Insert the thermometer in the deepest part of the thigh before you put the raw turkey in the oven. You can leave the thermometer in during the entire cooking process, and check the temperature dial periodically while it roasts. If the thermometer moves while the turkey is baking, simply reposition it. Turkey and stuffing are safe when cooked to a minimum internal temperature of 165 °F. Many like the deep thigh meat temperature at 180 °F. Even if your turkey has a “pop-up” plastic thermometer, it’s a good idea to double-check with a trusty thermometer of your own. gThankYou, LLC (www.gthankyou.com) is based in Madison, Wisconsin. Contact: Rick Kiley, Chief ThankYou! Officer, gThankYou, LLC at info@gthankyou.com or 888-484-1658. Follow the company blog “Celebrating Work” at blog.gthankyou.com. Tagged Butterball Turkey, Cooking Temperature for Turkey, Turkey cooking tips, Where to insert meat thermometer in a turkey, Where to place thermometer in turkey?